EMCO's traditional markets have been North America and The Middle East region. With the growing need for potable water in developing countries, EMCO has completed the execution of alternative supply systems utilizing brackish water and/or sea water. Furthermore, EMCO realizes the need to refurbish the infrastructure of these developing countries with the construction of sewage and wastewater treatment systems thereby reducing pollution and health hazards. EMCO recognizes the ever increasing environmental concerns, and has been tackling the challenges of pollution with creative designs and solution for developed nations as well. These highly industrialized countries, such as the United States, rely on the use of purified water in various applications that EMCO has mastered. The need for water and wastewater treatment is expanding with the increase in population. Municipalities are facing increased shortages for fresh water and increased need for wastewater treatment. Water reclamation and reuse is necessary to protect our water sources. 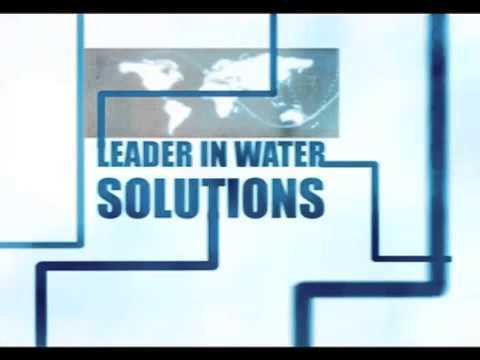 EMCO has the ability to offer the most economical solution to meet the growing need for fresh water by providing the most effective solutions for water and wastewater treatment. Water Treatment: Reverse Osmosis (RO) systems producing quality drinking water for cities and towns, realty developments, mobile home parks, construction camps, hotels, offshore drilling sites and production platforms have been installed. Source water at these sites has ranged from slightly brackish surface waters or well water to extremely salty sea water. Wastewater Treatment: Biological treatment, in combination with other unit operations, has proven to be effective in the upgrade of wastewater to meet United States’ federal standards of: lowering Biochemical Oxygen Demand (B.O.D. ), lowering Chemical Oxygen Demand (C.O.D. ), removing deter¬gents, removing radioactive elements, and pesticides. EMCO has pioneered the use of various combinations of treatment technologies to comply with today's ever stringent environmental discharge standards. Water Purification systems are used by industrial firms, to prepare water for boiler make-up, beverage manufacture, for direct use as process water, and for rinsing critical electronic components. In high-pressure boiler feed applications, RO or double-pass RO has replaced and is combined with primary ion exchange units, thereby greatly reducing or eliminating regeneration chemicals. Other typical uses include the production of high purity water for formulations, for washing filter cakes, for rinsing and cleaning manufactured products and for polymerization reactions. In addition, EMCO is active in the Pharmaceutical and Biotechnological industry, supplying systems for USP purified water and water for injection. EMCO also supplies systems and equipment components for various product separations and concentrations. EMCO's clients in the industrial sector are renowned companies. These companies have chosen EMCO to provide them with a single source solution for all their treatment needs including: Food and Beverage, Water Bottling, Pharmaceuticals, Paper and Pulp, Fertilizer Steel Fabrication, Oil and Petrochemical, and much more. EMCO offers complete systems for power generation applica¬tions. Recently, the co-generation industry has been requiring complete systems with increasingly challenging designs that require virtually "ZERO" liquid discharge. EMCO has the engineering expertise and experience to design and furnish complete "ZERO DISCHARGE" water treatment equipment sys¬tems. Makeup demineralizers, Makeup mixed beds, condensate filters and polishers, cooling tower filters and waste treatment. EMCO is also actively supplying the “power industry” equipment up¬grades, for revitalizing older installed systems. RO/DI/MF systems are used in con¬junction with reagent water systems and ultraviolet sterilizers to produce organ¬ic-free water of 18 megohms resistivity. EMCO offers custom integrated equipment packages involving Pretreatment, Reverse Osmosis, Ion Exchange, Ultra Violet, Micron Filtration (UF/MF), Post Polishing etc. for both semiconductor and pharmaceutical appli¬cations. Besides purifying water for municipal systems and industrial operations, RO desalinates water for a great variety of special end uses. Among the many applications are: water dispensing equipment, car washes, cooling towers, humidifiers, flower growing, ice rinks, ice manufacture, hydroponics gardening, restaurants, campgrounds, ships, fish culture, research hospitals and medical schools.